Coming across the causeway that links Sanibel Island to the Florida mainland, you can see the wakes thrown off by distant pleasure craft in San Carlos Bay like great white rooster tails in the bright morning sunlight. The sunlight turns the causeway into an ivory stairway floating–to heaven? Well, not quite, but close enough. Sanibel Island and its neighbor to the north, Captiva Island, is the Florida you didn’t think existed anymore: natural, quirky, ringed by pristine beaches, moving at a pace that is, shall we say, deliberate. How fast can an island move when it celebrates and promotes as one of its attractions that pastime of speed demons everywhere, shelling; that is bending over on a beach–“the Sanibel stoop” it is called here–and searching for seashells. If you don’t want to look for yourself there is a store on Sanibel that sells them. It could only be called She Sells Seashells. There are none of the strip malls, big box stores, or fast food emporiums that blight much of the rest of the state–not to mention North America. They sell T-shirts, like every other tourist destination in the world, but somehow they do it with a good deal more discretion here. 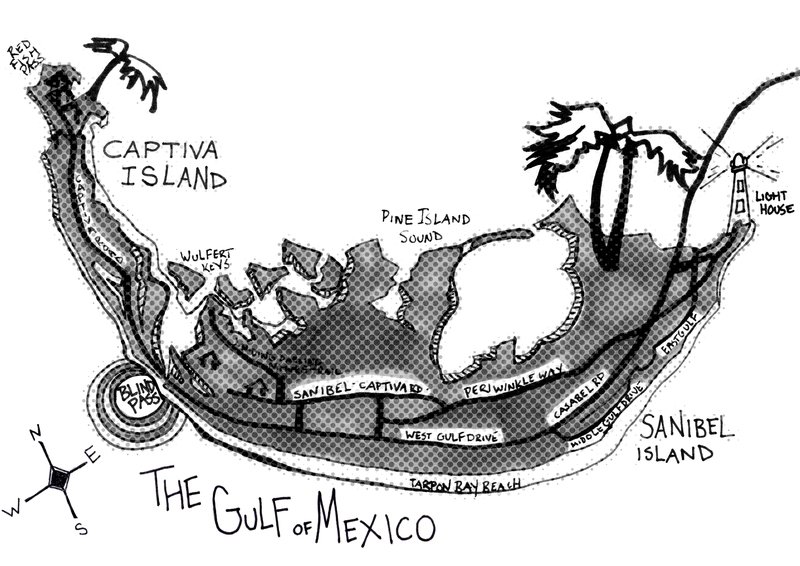 Sanibel and Captiva are barrier islands off Fort Myers, two of many along the Gulf side of Florida. They are long and narrow and from the sea they appear to be no more than sandbars, so low to the water, so terribly fragile, you fear one big wave could wash everything away. Looking at the islands, you do wonder how people arrived here rather than somewhere else–the Calusa Indians first settled the area and, as was usually the case, were all but wiped out by the invading Spanish; pirates appeared, legend having it that Captiva got its name because this was where one of the pirates, José Gaspar, housed the women he captured. You also have to marvel at the unique mindset that allowed the sort of thinking that concluded, Okay, we are going to protect these small islands and their wildlife while much of the rest of the state goes to hell in an environmental handbasket. A great deal of Sanibel, sixty-seven per cent, is taken up with the Ding Darling Wildlife Preserve, so that ensures that there won’t be many high-rise condos in the island’s future. Besides, no matter what your political leaning, “development” appears to be a four-letter word in these parts. Few people I encounter actually appear to come from Sanibel and Captiva, but I meet all sorts of people who have been coming here for thirty years or more, and many can remember what it was like before a causeway was constructed in 1963, and the only way onto the island was by ferry. They are Midwesterners mostly, from Chicago and St. Louis, Minneapolis, occasionally further east, from New York and New Jersey, and their loyalty to these islands is a wonder to behold. “We love it down here,” is a sentence repeated constantly–a simple enough declaration, but after it has been made, little more needs to be said. I am something of an interloper here, a latecomer to the island, introduced to its abundant pleasures by my brother Ric, who is the president of the Sanibel-Captiva Chamber of Commerce. I have been made to feel welcome, even though I have blighted paradise by murdering people. I haven’t actually killed anyone, I hasten to add, but I’ve written two mystery thrillers set on the islands, The Sanibel Sunset Detective and, most recently, The Sanibel Sunset Detective Returns, and bodies turn up on the beaches and in the lovely mansions along Captiva Drive. In actual fact, I’m told that the only murder anyone can remember took place about six years ago–a drug-related crime of passion. But my hero, an unlikely private detective named Tree Callister, has a knack for stumbling across corpses. In reality the notion of dead bodies induces head-shaking chuckles from the locals (there is also a fifty-person police force on the lookout for any bad guys who do show up). I remind everyone that my novels are a bit like the old Angela Lansbury TV series, Murder, She Wrote. Lansbury played Jessica Fletcher, a mystery novelist who lived in a small New England town where nothing ever happened–except there was a murder every week. The citizens of Sanibel and Captiva have been forgiving of my habit of spreading the dead around their islands and appear to understand that it’s all in aid of mystery and suspense and has nothing much to do with real island life. But that’s Sanibel for you. The warmth and generosity are everywhere evident. It’s at the Dunes Golf and Tennis Club celebrating the club’s redecoration; it’s at Traditions Restaurant on a Friday night when the owner, Andrea Mucciga, belts out the most amazing version of “La Vie En Rose” while diners at surrounding tables joyfully wave napkins in the air. 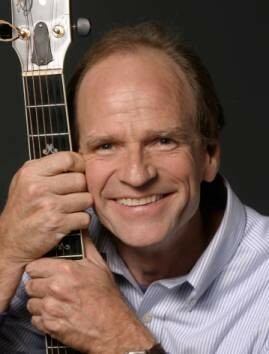 Most of all, it shows up at a concert Saturday night in the Big Arts Center on Sanibel Island where an audience of four hundred gathers to hear folksinger Livingston Taylor. Liv, as everyone calls him, is the brother of James Taylor, but he is very much his own man, part singer, part storyteller, an impish, commanding stage presence with a twinkle in his eye and a wryly evoked sense of humor about life and music–not to mention a darned good piano player and electric guitar picker. He provides his audience with an autumn evening of enchantment, capped by a winsome (is there any other?) version of “Over the Rainbow,” that has the entire audience softly singing along in beautiful accompaniment. In those moments, holding back unexpected tears, you can’t help but thank whatever deities who manage these things for bringing you here to this time in this place among these people who love and are loved. 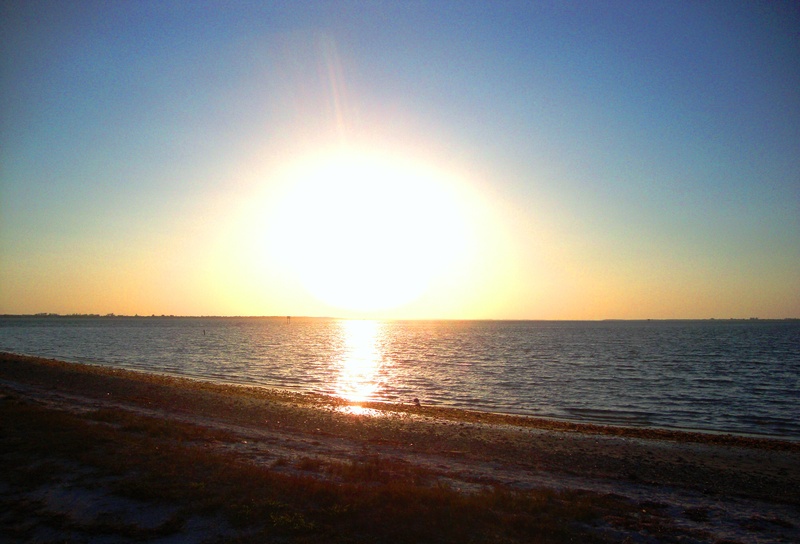 When Liv Taylor sings of a land that he heard of once in a lullaby,where the clouds are far behind, and troubles melt like lemon drops, well, as corny as it sounds, I can’t help but think of being here on Sanibel. 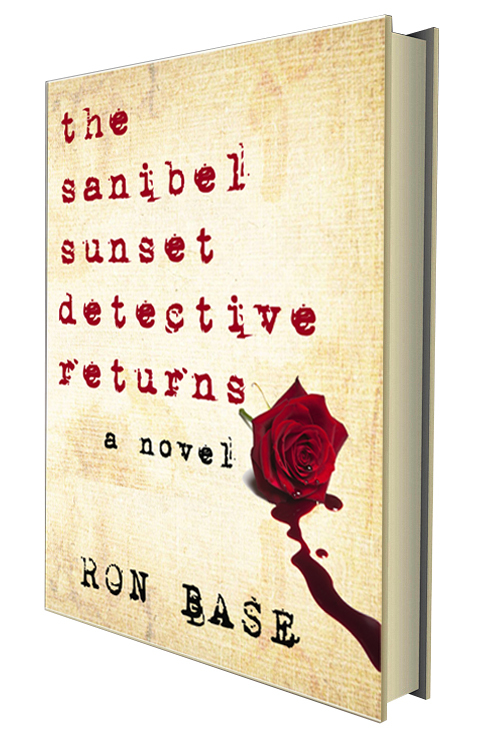 Ron Base’s new novel, The Sanibel Sunset Detective Returns, is available here.